1. What is the “Essence of Mario”? 1. Why Use an Orchestra? This may be a tradition of Nintendo’s, but I think Miyamoto-san is very picky when it comes to sound effects. I was very surprised when I first found out about his adamant demands for sound effects “with substance” that are completely synchronised with the feel of the game. 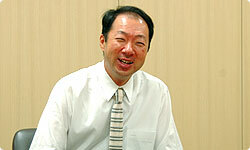 But Kondo-san, you must have been trained thoroughly over the years in what Miyamoto-san demands. Do you have any memorable moments? The first sound that Miyamoto-san made me make over and over again was the stabbing sound when you hit enemies from the Disk System version of Zelda6. I was dealing with the limited sound capabilities of the NES, and it was hard to come up with a sound with any punch. So I had him listen repeatedly to find a sound he liked, and I remember I remade that sound over and over again. An extra audio channel had become available for the Disk System version, and I was planning on using that for the music. But Miyamoto-san told me, "Let's use it for the sound effects." 6 The Disk System version of Zelda was the very first of the "Legend of Zelda" series, and was released on the Disk System for the Famicom (Japanese version of the NES) in Japan in February 1986. This version is the same as the version sold as an NES cartridge outside of Japan, which was released in Europe in November 1987. That must have been a harsh decision for someone who wanted to compose music. So, I made the music using the original three channels of the Famicom. But by using new sound sources to create things like monsters' cries, I think we were able to create sound effects that the player could really feel, which were non-existent in earlier games. Though the music of Super Mario Bros. is famous too, you can also tell just by hearing the sound effects when Mario grabs a mushroom and grows bigger, when he's collecting coins, and so on. I think it’s safe to say that these sound effects leave a strong impression, but creating these sound effects mustn’t have been easy either, right? It was hard. With very limited memory, it was quite a challenge to make sound effects that were effective. Back when we were making Famicom games, the sound engineers were allowed to use only a total of anywhere between 1 kilobyte to 1.5 kilobytes of memory. I remember this because early on, I wrote sound programs for games too. But now, you can use large amounts of data in games, and I think now there’s no limit to what you can do in terms of sound. For this game, what was the part you put the most effort into? That would be all of the sound work! (laughs) For this game, though, we could use the Wii Remote's speaker, but even though we did put a lot of work into using it, we decided not to have it constantly producing sounds. At first, we were tempted to make all sorts of sounds come from it, but when the sound coming out from the speaker was exactly the same as the sound coming from the TV, it lost all meaning. So we changed it so it would basically be used for Mario's actions, such as the sound it makes when you hit an enemy. We endeavoured to create substantial sounds that the players could feel, as if they were part of the action. The Wii Remote rumbles at the same time, too, and I think the way the sound comes from where your hand is brings in a whole new level of depth in creating an interactive medium. So what kind of things did you come up with in making the most of the Wii Remote speaker? Well, for example, we made it so that when Mario gets Star Bits, you will first hear a sound effect coming from the TV, and then just after, you will hear another Star Bit sound coming from the Wii Remote. By slowing the tempo of that second sound on purpose, it makes it feel like the Star Bits actually fly into your hands. There are a lot of features in this game that use the Wii Remote's shake control, like shooting Mario away to the next planet using the Star Sling, and knocking out Goombas, and we worked hard on sounds that make shaking the Wii Remote fun. Besides the Wii Remote sounds, were there any other sound effects that you put extra effort into? This may be a tradition of Nintendo’s, but I think Miyamoto-san is very picky when it comes to sound effects. That sound has been well-received by those who've heard it. It has an outer space feel to it, and it also feels like you’re floating. We called in a professional engineer and worked hard on the “mixdown”, which is a process where you adjust the sound balance. Usually something like this would only take a day, but we spent three whole days on it, and we tuned each track one by one while playing the game to adjust them right down to the fine details. For example, to make the best use of the sparkling sound that you hear when collecting Star Bits, we toned down the sparkling parts in the music so that the sound would fit in better within the game. 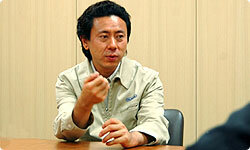 There were a lot of people in the development staff who were very interested in the sound, including Miyamoto-san. I think that was why we were able to put so much effort into it. If we tried to do it with only the sound staff, we would get a little greedy and want to put even more sounds into the game. But if you can’t properly explain to the other staff why the sounds should be added, they’ll just lower the sound’s priority and tell you "If you have the time to worry about something so small, you should work on more important things." I think this is made even worse because the sound team is shut off in another room to work on the sounds. So if the people at the centre of development don’t care a whole lot about the sound, being the sound engineer can become a very lonely job. 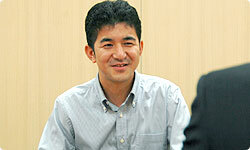 But while working on this game the director, Koizumi-san, often talked about sounds with substance. I think that's a tradition of Miyamoto-san and his pupils. He says things like, "This is the most important action in this game, but this sound makes it sound really weak." Since today you’ve revealed a lot about what goes on behind the scenes, I am sure the readers will pay attention to the sound effects when they play the game. Sound effects are essentially there so that the players can better enjoy the game, so unlike the music, sometimes they may not be recognised by the players as something special. In the past, I felt like telling people to pay more attention to the music instead of the sound effects, but I don’t feel like that any more. I think the sound of Super Mario Galaxy is made by the combination of the sound effects and the music. Even so, don't you have certain sounds you want the players to listen for? I said that because I know how important sound effects are. The experience of having that one channel taken away from you back in the Disk System days must have made quite an impact on you! (laughs)Now to wrap things up, please say a word or two to the players. 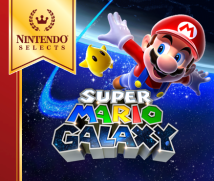 Super Mario Galaxy is the first Mario game to use an orchestral soundtrack, and I think this has made it into a game that has wonderful sound. I really hope you enjoy it. I was in charge of the sound, but at the same time I'm a big fan of Mario games, so I also helped to adjust the game's difficulty level as a staff member. Right, so along with the sound, please enjoy playing the game. I worked on the sound design hoping the players would naturally be able to get into the world of Mario. But I've also put in a few sound games, so please look out for them. I'm sure you'll have a smile on your face when you find them. Let's leave it to the players to find them. Thank you all very much! 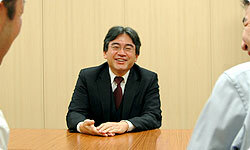 Now, for the next and final interview, I will talk to Miyamoto-san, whose name has already frequently appeared in these interviews.